Understandably irritated, Windows 10 users are constantly complaining about the removal of software by Windows 10 without a prior intimation. Though Windows 10 is decently operating among the users currently, it does have its rough edges. one among those is the automatic deletion of software along with SPYING. Yes, Windows 10 spies on you! To stop Windows 10 from spying on you please visit here to get a step by step guide on How to stop Windows 10 from spying on you. This is something new and is not present in the older versions of Windows. Windows 10 remove programs during an updating process in order to protect itself from trouble causing software. This idea was conceived considering an average Windows user who might happen to have outdated programs. This idea of super intelligence was introduced to save Windows 10 from bugs, crashes and other conflicts within its kingdom. Though the usual screen of ” All of your files are exactly where you left off” appears after the completion of the update, Windows 10 had actually removed many of the installed program files in the name of “Benefitting you with ease of operation”. Though it is okay with normal users, Tech Geeks find it annoying as they intend to control everything in their kingdom. It is clear that Windows 10 is removing potentially problematic software. But, deleting an installed program without a warning or without an input from the user is absolutely not acceptable. This needs to be fixed as soon as possible. Let us hope this gets alright in the next Windows 10 update. However, in order to work it out till then, here are some ways to stop Windows 10 from the automatic deletion of programs. windows 10 is not doing this all the time. It happens only during the major updates. After the launch in July 2015, the first update of Windows 10 happened in November 2015. Tech geeks who had the update installed are still facing problems. This happens because the major versions of Windows are treated differently from the updates. Windows 10 updates are not service packs or like the previous updates. It is more like upgrading to a new version of Windows. 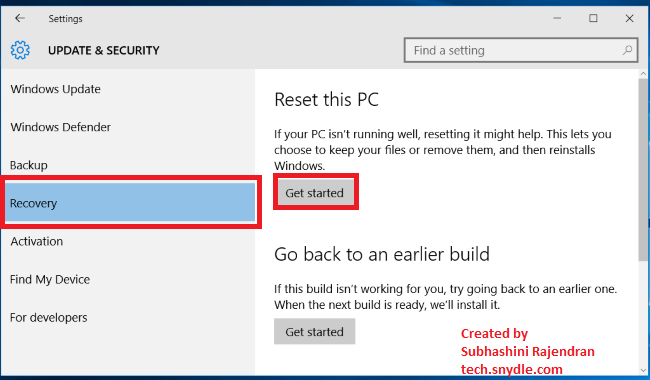 If you are aware of service packs, updates and different versions of Windows, please scroll down to How to stop Windows 10 from deleting programs. You should be familiar with service packs of Windows. It is nothing but the Windows update. It is provided for a better performance of the existing versions of Windows. In simple words, it fixes the troubles caused by the OS released recently. Initially, Windows updates were delivered in patches. You either downloaded them separately or purchased it from a vendor. Normally service packs come in free of cost. Though it was not the case with Windows Ultimatum. Service Packs does a couple of favors. One, they bundled up all the individual security and stability patches and secondly they installed them as a single big update rather than doing hundreds of installs for every software. They even had new features. For instance, the service pack Windows XP added in a new feature called Security Center. Microsoft used to release regular service packs initially. So said, it has released three SP for Windows XP, two service packs for Windows Vista and one for Windows 7. But it is not the case with Windows 10. Microsoft has changed the whole concept of Service Packs and has now brought in something new called the BUILDS. In simple layman terms, builds are nothing but new versions of Windows. Going a bit deeper, updating Windows 10 is like installing a new version of Windows 10. When Microsoft releases a build, Windows 10 automatically downloads and installs it. It also does an uninformed automatic reboot and upgrades your existing version. If you have just downloaded your Windows 10 and have never upgraded you can see “Build 10240”, which is the initial Windows 10 launch version. However, the number has now become Build 10586. How to uninstall or go back to a previous Build? One cannot uninstall a Build like a service pack. There is a whole new step up for this. On the Recovery screen, select Windows “go back” option. However, this is available only for 30 days. Later, Windows 10 removes the old files in the terms of space recovery. This is exactly the same process like going back to Windows 7 or Windows 8 or 8.1. Here is a complete step by step procedure on How to downgrade your Windows 10 to Windows 7 or 8. While Windows 10 to get more updates in the future, Microsoft has assured that the updates will be in the form of Builds and not as Service packs anymore. Though the concept is new, the internal working and machine parts of Windows 10 are the same. in other words, Windows 10 has the same old Windows.old folder like the other versions of Windows. As we all know, every update of Windows version creates a folder called the Windows.old folder where the old system folders and files are saved. Wehn the user has to go back after updating his Windows, the current OS retrieves all the necessary files from this folder called the Windows.old. It is also well explained before in the older post of How to free up my hard disk space under Disk Clean up. So if you need to go back to get all your installed software, you can easily retrieve it using the .old folder. However, this option will be available only for a month. After which, Windows deleted the folder for more space as these folder tend to occupy memories in GBs. So act quickly and save yourself! On the other hand, morally this happens either due to an existence of an outdated program or a malicious program. So it always good to go with the flow and reinstall it as it is for your own good. You can help yourself by saving the setup files in separate folders and use them every time when there is an update of Windows 10 happening. Though a little painful, it is good for the system and is also good to lead an updated life. The odd and contradictory part of the problem is that Windows is not removing the program file of the software but is removing the other files associated with the software. So finest and foremost as you have identified the trouble causing software after the update, you now have to completely uninstall the software and re – install it to make it to into its complete functioning once again. Here you can find the AppData that is missing on the faulty software. Just copy it. See if it’s working. IF not you will have to completely uninstall it and reinstall it.